We teach our students to give back to the community. We also try to stress Big Red Cares and teach our students to never forget where they come from. 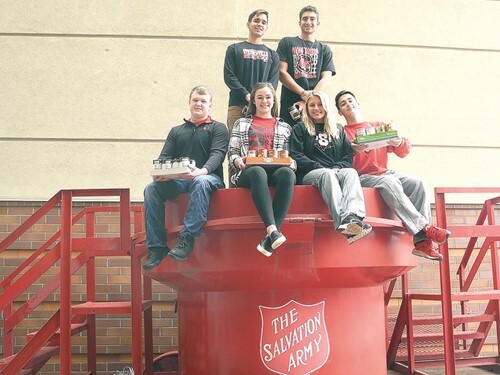 We want our students to always think of the community and how they can give back to those in need. The community always supports us and sometimes someone in our community can use some help from us. Tuesday, November 27 was National Day of Giving! What a special day for SCS! Thank you to everyone who contributed to the 2nd Annual Stuff a Bus! The SCS bus went on tour to various locations in Steubenville and we came together as ONE community to STUFF A BUS! The Bus made stops at all Steubenville City Schools, Carriage Inn of Steubenville (Capital Health Network), & Jefferson Behavioral Health/CORE. First Westminster Presbyterian Church also partnered with us. A special thank you to City Manager, Jim Mavromatis for helping us kick off the event! The Best Band in Buckeye Land also helped kick off the event by playing some of our favorite tunes! Snowflakes were falling and everyone was in the Christmas spirit! Together, WE will make a difference this Holiday Season! Click on the video below to see some footage from our special day! We raised funds for the United Way of Jefferson County Ohio! Big Red Cares! The student body had a wonderful time! We are LIVING UNITED! 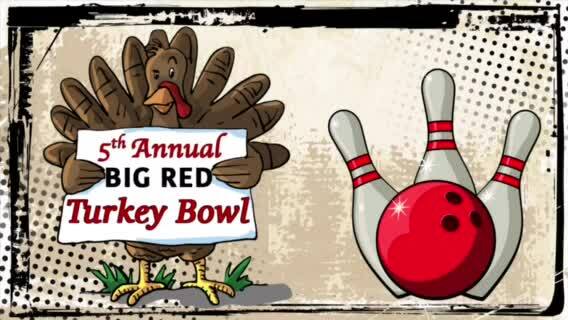 Watch the video below of footage from our 5th Annual Turkey Bowl! 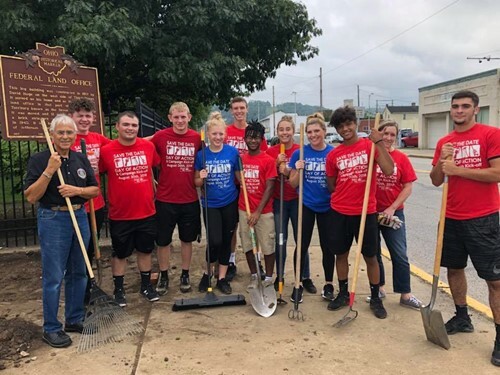 STEUBENVILLE — The 2018 “Together We Care” soccer tournament/cancer fundraiser has officially closed the books on what was another outstanding yea, generating more than $27,000. The sixth-annual event was held Oct. 6 but ran throughout the month of October, which is Breast Cancer Awareness Month. T.E.A.R. is an acronym for Trinity Emergency Assistance Relief fund. The main event of the day is a soccer tournament with girls and boys teams from Steubenville Big Red, Edison, Steubenville Catholic Central and Indian Creek schools. The boys and girls teams play four regular season soccer games throughout the day while competing for city championships. The event also includes various activities, including a calendar lottery, a Chinese auction, school spirit tables, a pink balloon release after each game in honor of or in memory of a person with cancer. 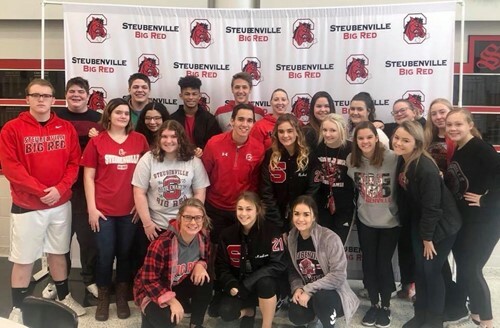 There are parent volunteers from each school who work for months on planning the event as well as the soccer players, students from school clubs, teachers and other individuals who donate their time on the day of the event, Clevenger explained. 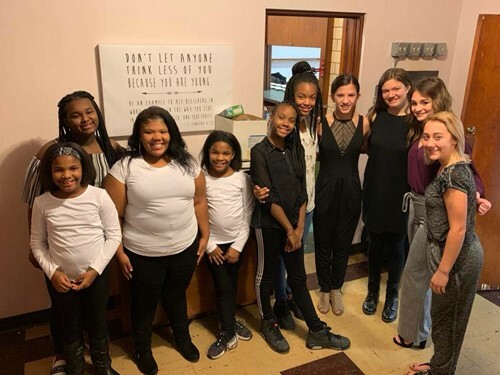 “The event would not be possible without the help from area businesses, individuals in the community and the fundraising efforts from the area schools that take place throughout September and October,” she noted. 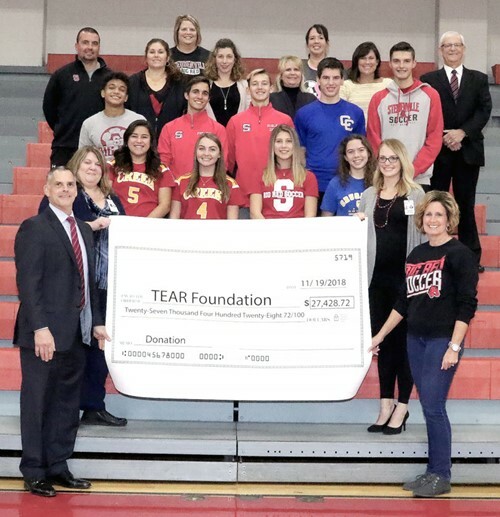 “A special thank-you goes out to the major sponsors which include Naylor Law Office LTD, Barium and Chemicals Inc., Trinity Health System, Water Transport, GPC Contracting, the UPS Store of Steubenville, Clancey Printing, students from Steubenville City Schools, students from Indian Creek schools, students from Steubenville Catholic schools and the students from Edison schools,” Clevenger added. Members of the SHS Leo Club participated with the Lions Club at the annual School of Bright Promise Christmas lunch. 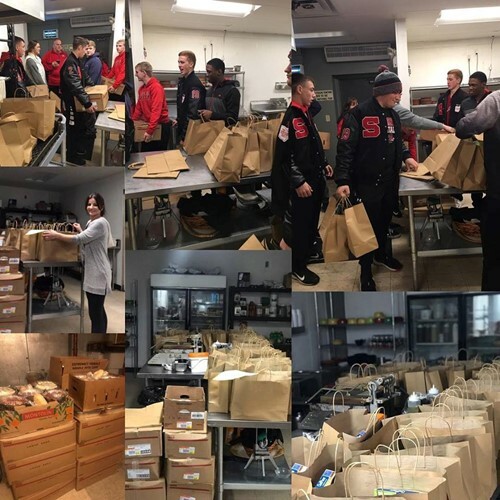 For the last 5 years over the week of Thanksgiving, the Steubenville High School Key Club has helped Scaffidi's Restaurant & Tavern distribute 50 meals to local families of students of Steubenville City Schools. 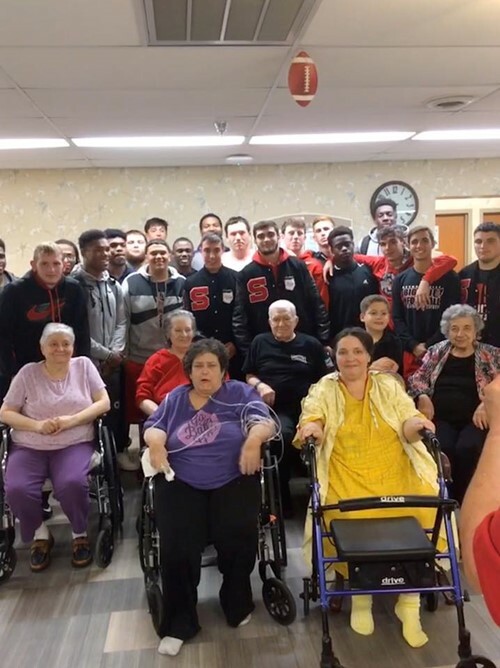 Coach Reno and some members of the SHS football team spent time with the residents of the Carriage Inn Nursing Facility. 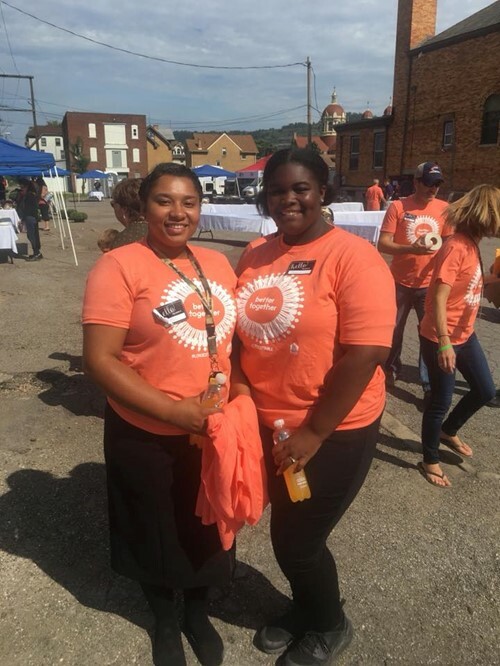 Some of our students gave back at the Urban Mission’s Longest Table event. The theme was better together. Big Red Interact Club volunteered their time at the Hero 5K benefiting the AIM Women’s Center! 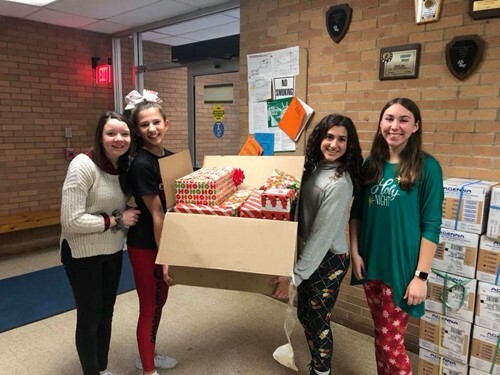 Our students understand the importance of giving back! They also LIVE UNITED! 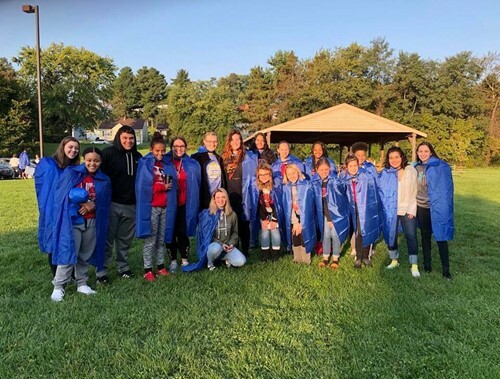 This group of students along with Mrs. Parikakis participated in the Jefferson County United Way Day of Action and spent time volunteering at the Historic Fort Steuben. They enjoyed spending time with Mayor Jerry Barilla. Thank you to our Mayor and United Way of Jefferson County Ohio for the great experience! Jacob Noble, a senior at SHS is raising money that will be donated to the UC Davis Mind Institute. We are so proud of you, Jacob!